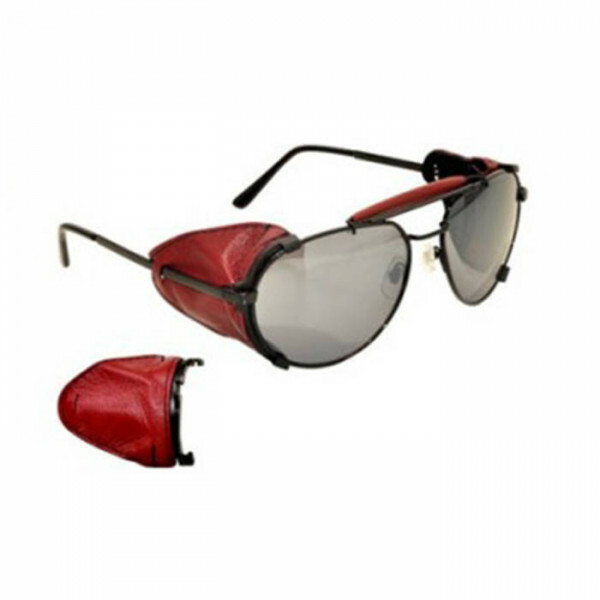 It is a classic eyewear (version for the eyeglass bike that used Locatelli on K2). Lightweight metal frame in nickel and gun colors, with flash smoke-colored drop lens. The basic version has para leather protective and detachable leather with ease and leather bridge. Available in many colors of leather: red, leather, black, white. Spare parts: side leather, rods. Lenses: The lenses are colored in polycarbonate smoke. Lenses: The eyewear can directly mount the lenses. If you want to customize your glasses with your lenses contact us for a quotation.